The Hansen Group has recently created a charity foundation to help give back to our community. We are in the midst of establishing our baseline and formalizing a brand but we are very excited about this new venture. As we continue to develop our vision, will be focusing on foodservice/hunger-related philanthropies and will be getting involved with local schools, hospitals and nursing homes — all of which we are very familiar with. 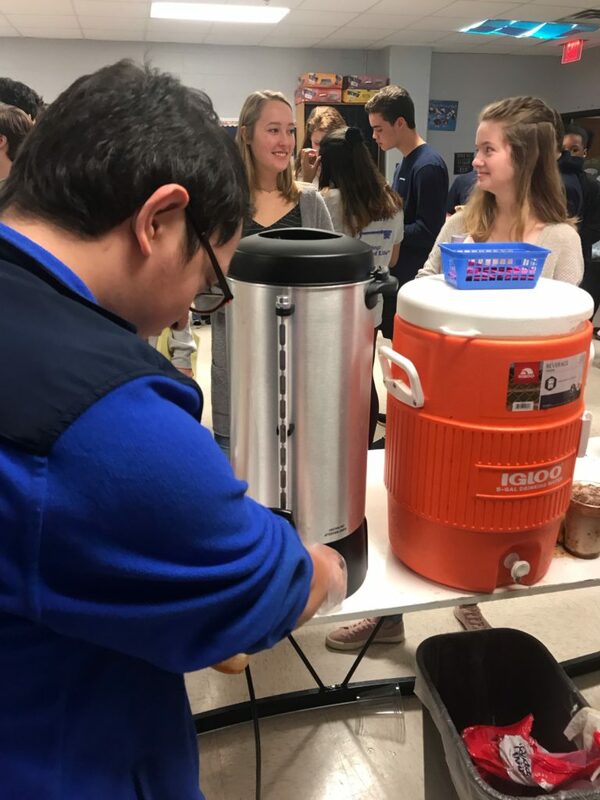 To kick-start this initiative, a couple THG team members stopped by Dunwoody High School to check out the Wildcat’fe — a fully operational coffee shop run by students with mildly intellectual disabilities. The program started in 2011 and has been incredibly successful since it’s start! The special needs students function as cashiers, servers and greeters and take great pride in their jobs. The students spend several hours preparing food & beverage items and setting up the café. We noticed they were making their coffee with a standard 8-cup coffee maker. 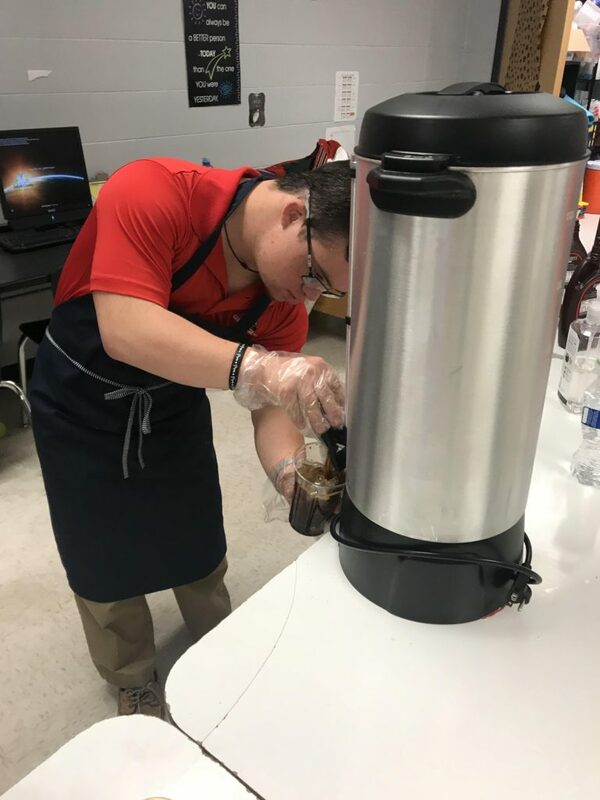 We reached out to Hamilton Beach and they kindly donated a commercial coffee urn that brews up to 100 cups! The staff and students raved about how efficient and helpful its been. Last week, they had to fill up the urn TWICE they were so busy! We are so happy to help such a great program and proud work with manufacturers that agree! We look forward to continuing our THG philanthropy through similar projects and charities in the southeast. We hope to partner with local foodservice organizations to give back to our community and help those in need.